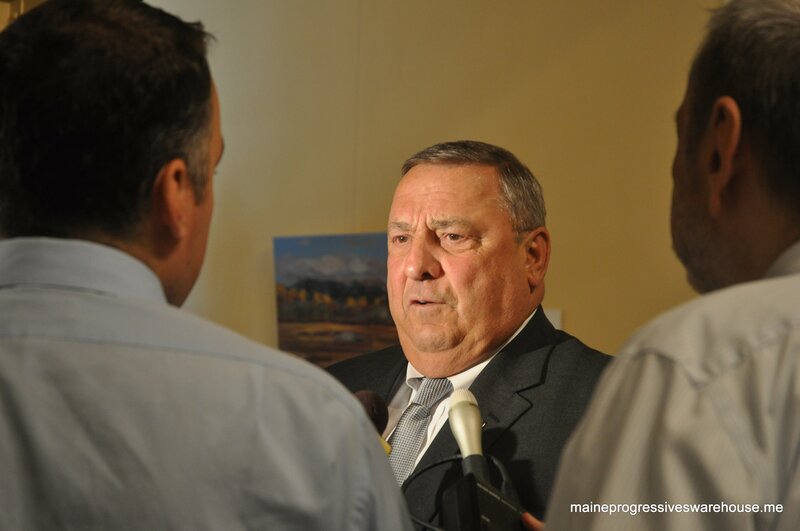 Maine Governor Paul LePage being interviewed 6/29/15 by WMTW reporter Paul Merrill and Mal Leary of MPBN. 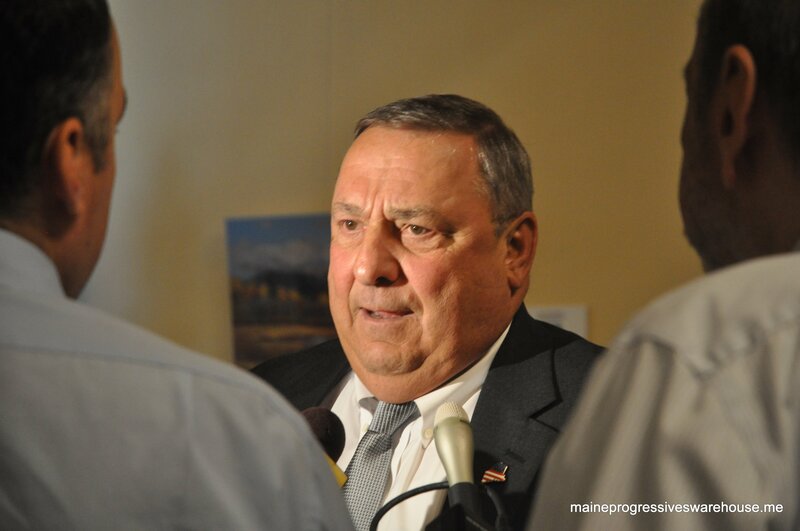 Maine Governor Paul LePage was interviewed outside his office at the State House briefly today; audio was recorded by WMTW’s Paul Merrill via his cell phone and shared with this reporter. Also interviewing the governor was MPBN’s Mal Leary. GOV. LEPAGE: It is what it is; it’s a free country. They can do whatever they want. If they impeach me, I won’t have to retire. 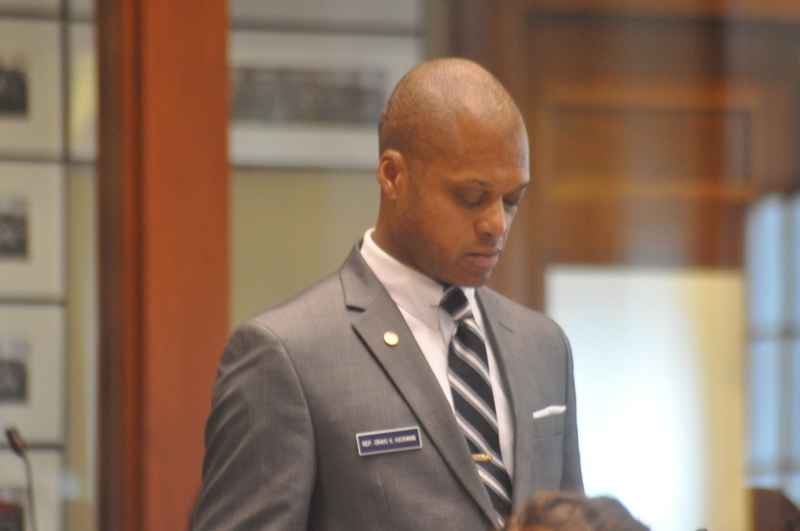 PAUL MERRILL: Regarding Speaker Eves… was there any explicit threat about his employment? PAUL MERRILL: So you never threatened to withhold money. GOV. LEPAGE: Yeah, I did! If I could, I would! Absolutely; why wouldn’t I? Tell me why I wouldn’t take the taxpayer money, to prevent somebody to go into a school and destroy it. Because his heart’s not into doing the right thing for Maine people. PAUL MERRILL: But they would say that- if you said, “If you hire him, then I don’t get the money”, that’s blackmail. GOV. LEPAGE: No, it’s not. Go, go read the definition. Please go read the definition of “blackmail”. I don’t gain anything out of it and neither does he. So there’s nobody gaining anything. So I think you are misusing the word. And that’s coming from a Frenchman. MAL LEARY: The ‘New York Times’ yesterday portrayed you as “a party of one”. How do you feel when you read that you’re “a party of one”? GOV. 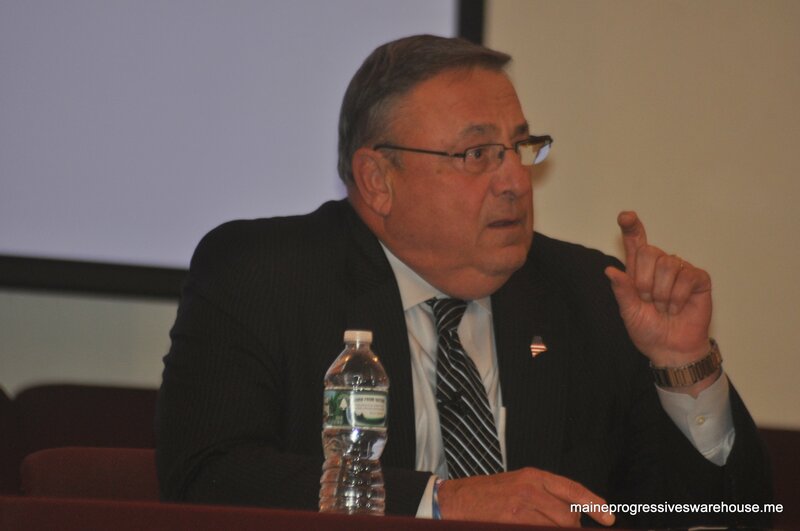 LEPAGE: Let me tell you something. This is how- my only comment about that is I was elected by 1.3 million people, with the most votes in the history of Maine governors, to come to Maine and to get rid of the status quo and the corruption. And I will continue do that, with every ounce of blood until my last day. Whichever, whichever comes first- the impeachment or my- the term of office. PAUL MERRILL: You expect to veto the budget this afternoon? PAUL MERRILL: Do you know about what time? What’s time frame? PAUL MERRILL: Any comments about the veto, the impending veto? I believe every person in this Chamber is a proud American. Our ancestors come from different places; practice different faiths; eat different meals. But we share one nation and one set of ideals. We share a belief in the greatness of our country. A belief that what makes us a great nation isn’t our sameness, but our diversity. Today in the hallways of this magnificent building we saw some of Maine’s diversity. There were people here who came from Angola, Burundi, the Democratic Republic of Congo, the Congo Brazza-ville, Djibouti, Mauritania, Rwanda, Somalia. They hail from the continent of my ancestors, who did not come to these shores by choice. Ancestors who did not come to these shores fleeing anything. Still, I love America more than any other country on earth, and I wish to be nowhere else. I am certain, Mr. Speaker, that every person here, every person listening or watching online, knows that those closing lines from Emma Lazarus’ 1883 sonnet “The New Colossus” are emblazoned on a bronze plaque on the pedestal of the Statue of Liberty, placed there in 1903. Throughout this conversation, we have heard arguments such as: “We can’t even afford to take care of our own; we can’t help our disadvantaged, our elderly, and our infirm, so we can’t help them.” I say, Why not? Why can’t we? From the long perspective of human history, from before the times of the Pharaohs to now, in the wealthiest nation ever to exist on the earth, can we really cry poverty in good faith? If we haven’t walked in their shoes, then who are we to judge them? Mr. Speaker, women and men of the house, have we forgotten what makes us human? How have we forgotten what makes us humane? Have we forgotten the purpose of our government? 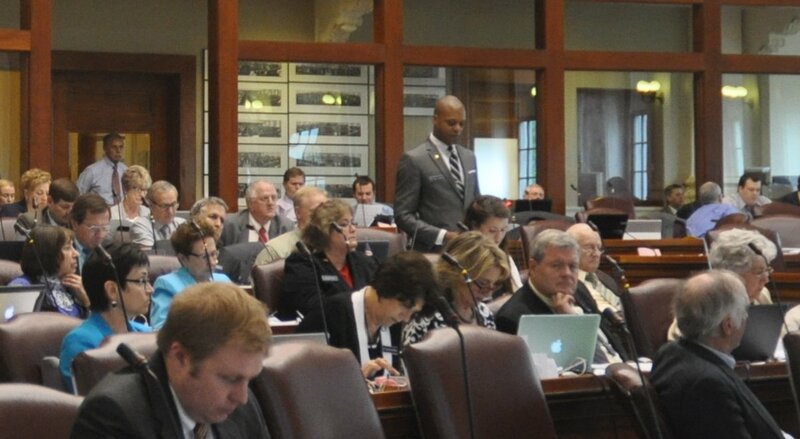 Our purpose for existing, the principles that guide our work in this Chamber, are laid out in our State Constitution. We have formed the government of the State of Maine “to establish justice, insure tranquility … promote our common welfare, and secure to ourselves and our posterity the blessings of liberty.” Is not the welfare of all God’s children our “common welfare”? Isn’t treating all of our residents with fairness and equality indeed “justice”? Isn’t our responsibility to truly secure the blessings of liberty for those who have sought refuge among us, fleeing tyranny and civil war? It breaks my heart that we are even having this debate. And so in facing the conundrum of life in this debate, I am going to flip the script. I am not going to call them immigrants, or asylum seekers, or legal non-citizens. I am going to call them exactly what they are: human beings seeking a better life in the greatest country on earth. How can we in good conscience vote to throw decent human beings out onto the streets because our sometimes cold and insensitive language around “welfare cheats and illegals” has been repeated so often we have lost our ability to see the human beings behind the labels? In order to live with my conscience, I cannot, ought not, will not vote against human beings who need our help. I cannot, ought not, will not pit them against other human beings who need our help. And I cannot, ought not, will not fear what happens at the ballot box in the next election. Mr. Speaker, women and men of the House, no matter the outcome on this conundrum, this amendment, this vote that we are about to take here this afternoon, I pledge to work with anyone in this Chamber to make sure that our state is more welcoming to young families; more welcoming to people who don’t look like most of us; more welcoming to people from different lands and other countries. And, yes, more welcoming to human beings fleeing the terrible places where life can be found, human beings whose toughness and resilience and ambition will make us a better state now and in the future. Brilliantly blessed are those who create Unity out of vast Diversity, for they will experience Heaven on Earth. Mr. Speaker, women and men of the House, let us remember who we are. Let us follow the light of the golden lamp of Lady Liberty and vote to pass this amendment. Audio links here in two parts.